Buy paper you're not afraid to spoil, but buy strong, good watercolor paper. Regular paper, and sometimes the multimedia ones too, will absorb too much pigment and will make you feel miserable. I have some very good Arches watercolor paper but it's intimidating, I hardly use it. Go ahead and spoil yourself, buy some if you are more courageous than me. I bought some Fluid paper blocks that's real nice for beginners, but Strathmore 400 watercolor journals are my favorite. I didn't really progress until I bought 3 of these journals, the biggest size, and proceeded to fill them carelessly with quick sketches, color tests and such. I love journals : it's a fun way to record your days, your progress, and if you're not happy of a page, there's a fresh one just behind. It's a good option if you're not too picky about sizing (I'm not) . Other good journals option are the Stillman and Birn ones, but make sure to choose a watercolor journal (their Beta and Delta series). Learn a little bit about paper ( cold or hot press?) and sizing if you can, it does help! Don't fuss : buy artist paint. It's more expensive than the students kind, but so worth it. The students ones are less saturated, and it takes (ironically) a lot of skills to get anything out of them. My favorite brand is Daniel Smith, I'm a color lover and study pigments, and theirs , when reading the ingredient list, are no nonsense , if not a bit lyrical sometimes. If you don't mind checking contents and learn a bit about pigments and binders , Holbein and Sennelier are good, less expensive options. Winsor and Newton has strong, high quality, sturdy classics, but sometimes they care more about getting an exact color than use a simple mix of pigments. The more you mix colors, the more they'll be muddy so it can be a problem. But, because of color accuracy, their basic set is probably the best you can find to start on scenery sketches. Learn your colors and what they're made of to get ideas for inspiring mixes. Best advice I ever got: always wet your colors before use! A drop of water will do. Dry colors will damage your brushes with poor, desaturated results. Make sure you get some that hold a lot of water and only use high quality ones. I'm plenty happy with the synthetic, but high quality Escoda Versatil. My favorite with real kolinsky sable hair is the Winsor and Newton series seven. You don't need that many brushes, start with the ones you really need in high quality. If you do detail work you'll need a round 6, bigger, buy a 14. That's a starting point. If you want to test fun, clever options, Rosemary and co has a great array of good quality speciality brushes. Ink or not ink? Some watercolorist use waterproof ink, some sketch in pencil...I tested everything including colored pencil, and I like it all. Heck, I even love color pencils for kids that change color while you draw. You'll need to test and try and have fun...Just make sure when you draw that you don't sketch too much to leave room for colors. Do try the pencils and colored pencils though, they'll give you nuances that a pen won't. The only advice I will give you is to draw loose and fast, with only pockets of details in a focus area. I get lost in my thoughts and always forget. Do make mini sketches to try light and composition and colors. I'm afraid my thumbnails are often better than the end result, but hey, still learning. 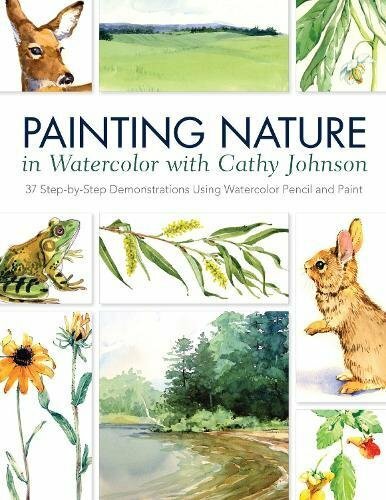 Rule of thumb : only buy books and lessons from painters you admire. Otherwise you won't get inspired, and you'll spoil your hand, too. Another important thing : don't limit yourself. Explore cute floral lessons if you feel like it, but just like in photos, don't be afraid to go further. Try urban sketching, architectural designs, still lifes, nature sketching. Go after what you like. Be bold. Have fun. What worked for me : Craftsy lessons from Shari Blaukopf, Marc taro Holmes, Stephanie Bower. 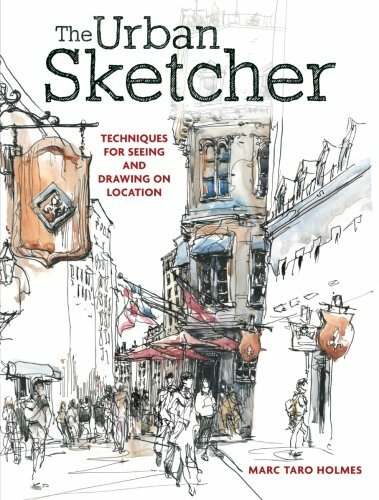 All of them are part of the Urban Sketchers community, and their courses are University level but accessible to beginners. On top of that I bought lessons from James Fletcher-Watson on Vimeo , because he has a very British style and a traditional way to mix colors that enchants me. 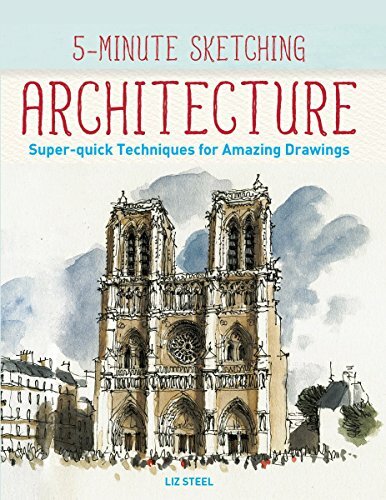 I do have a background of classical drawing, but I don't think it should stop you : what I learned is that you learn drawing by practice and that's it. Don't compare your art to others, especially if you live with one of the most gifted sculptors of our generation. I live with a gifted painter. I don't compare or I'll never progress. On the other hand, do remember what you learned practicing other arts , like composition and color. I realize this is a lot of information! I hope it's not too much, I really tried to make it short. Please ask questions if you need it, I'll be happy to help.